The long overdue love letter, postponed due to moving but it’s all good. I don’t know about everyone’s experience with sewing or crafting functional items with their hands but for me it’s a form of therapy and helps me process difficult topics like body image or life changes. It has also on occasion brought our family some income, which can also be a tricky thing, to tie in something that brings you joy with something that creates income. But I think I’m loosing my train of thought. If you’ve never heard of Craftcation, it is the most exciting, joy making and functional marriage of crafting and business world, ever. I began hearing about the weekend of making while still a bath and body maker but pregnant with my second child, I later closed my shop and chose to focus on my first love sewing. I kept up with the yearly retreat and added it to the “one day” file. 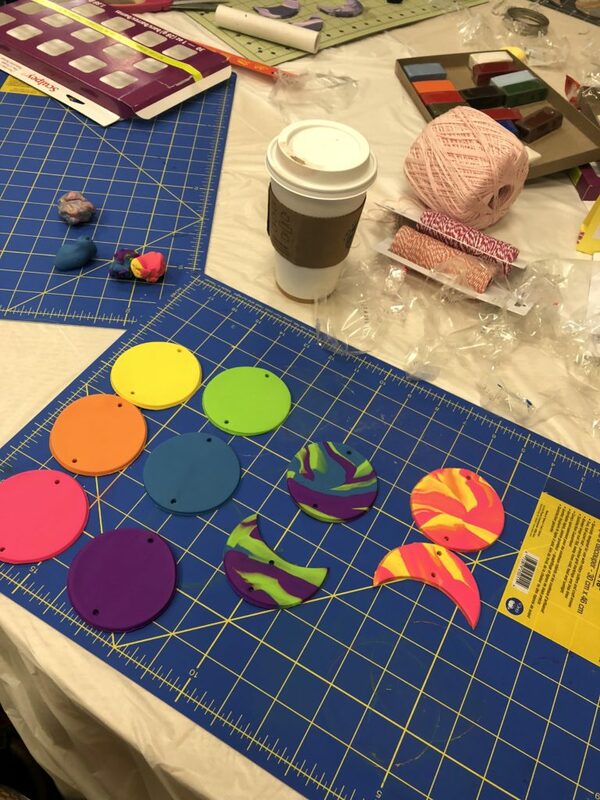 Fast forward to now (where I sew for my family and others, test patterns and make a general mess in our guest room) I heard from a friend that they were going to be teaching at Craftcation18. What a great time to make it happen! A few emails later and was able to join in the fabric fun with Kimberly of Straight Stitch Designs and two other new to me sewing friends. Our first stop was fabric shopping in DTLA with Katie of Threadbare Fabrics and then a quick stop at LAX to pick up Melissa of A Happy Stitch and we off like a herd of turtles in LA traffic to Ventura for CRAFTCATION! This was my first conference in quite some time and I wasn’t sure how or what to do, but the organizers and volunteers thought of everything. Upon registration your welcome package has not only amazing goodies from very generous sponsors but a thorough booklet covering all the classes, locations, off site experiences and teacher bios. If that wasn’t enough there was a New attendee and Introvert meet up in the lobby, where I am told many friendships were forged as well as first time jitters soothed. I had a long exciting afternoon and decided to forgo the mixer and get to bed early (after a quick trip to the pier for fish and chips and the market for hotel refreshments). The next morning bright and early I was ready to jump in. You know that instant “I like you” that happens when you see someone who is just as excited, maybe even as nervous as you are? That was what it was like going to Erin Wilder’s class. In her class we built polymer clay moon phase mobiles, she taught us a marbling technique, oh and then we had a 5.0 something earthquake. You know, to UP the excitement! While my creations were baking away in one of many toaster ovens I was able to venture out into the sponsor area where I won a great set of markers from Darice, wanted everything in the maker shop and borrowed an Instamix camera to take some quick photos. I learned new weaving techniques with another LA local Nicole Kent and had a blast trying them out and talking Airstreams and tiny houses with Angie of Bobo Design Studio. Made new friends Carmen of RealeGirlDesigns and Lori of Olive and Bo to go to the key note dinner with. Fan girl’d a bit while introducing myself to two of my crafty icons Jennifer Perkins and Vickie Howell and Biz hero Lela Barker. Then we all listened to our key note speech from the editor of BUST and Crafty author Debbie Stoller. That was only day one! There were printing classes I cannot wait to try out again on my own, more lunches and dinners at great spots around Ventura CA. 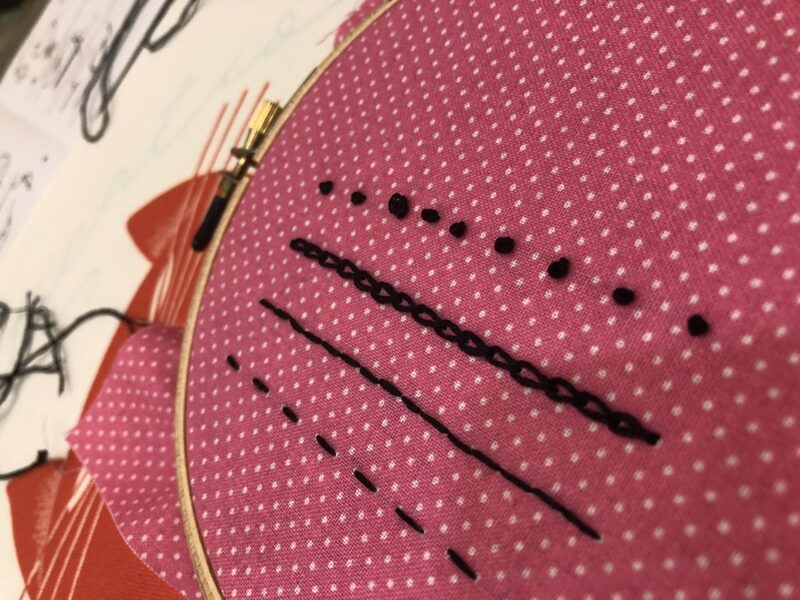 I FINALLY learned how to make a french knot with ease thanks to Robert Mahar’s class and have a super cute commemorative cat (in my favorite color no less!). I went to a few business classes but my main goal was to recharge my creative batteries at this conference. I recharged for sure but feel like there was some cosmic realignment going on as well, Laurie Wagner’s Wild Writing class broke me open in a way I was not prepared for but sorely needed (seriously she held space for us that had many of us in tears we didn’t know we needed to shed). Everyone is like you in some way and it makes it much easier to break out of your comfort bubble and say “Hi”. There were so many resources, like the one on one office hours with business coaches and crafty icons to classes that I wanted to experience but since I cannot be in two places at once I will just have to make it to next years offerings. It is more than just a conference, it has built into the experience time for reflection, camaraderie, learning, and making. It’s like summer camp and business conference in one. I can’t wait to go back. 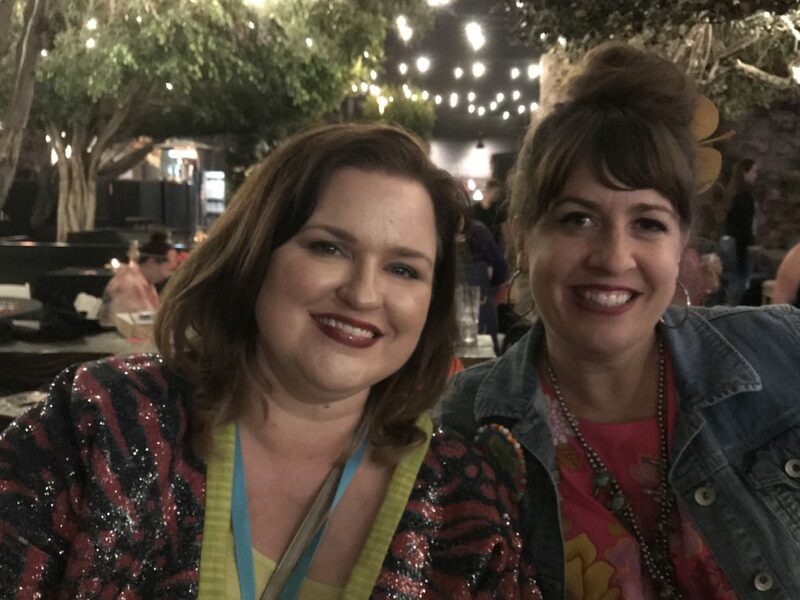 Thank you, to the organizers Nichole and Delilah of Dear Handmade Life the Patchwork shows and so much more, and to all the volunteers, teachers, presenters and vendors ya’ll truly rocked the maker vibe and helped create a great experience.